A protocol with forms for maintenance of LLC record books. Courts are piercing LLC veils. Records of the LLC activities help with an audit and can establish that the LLC is not the personal pocketbook or alter ego of the member(s). 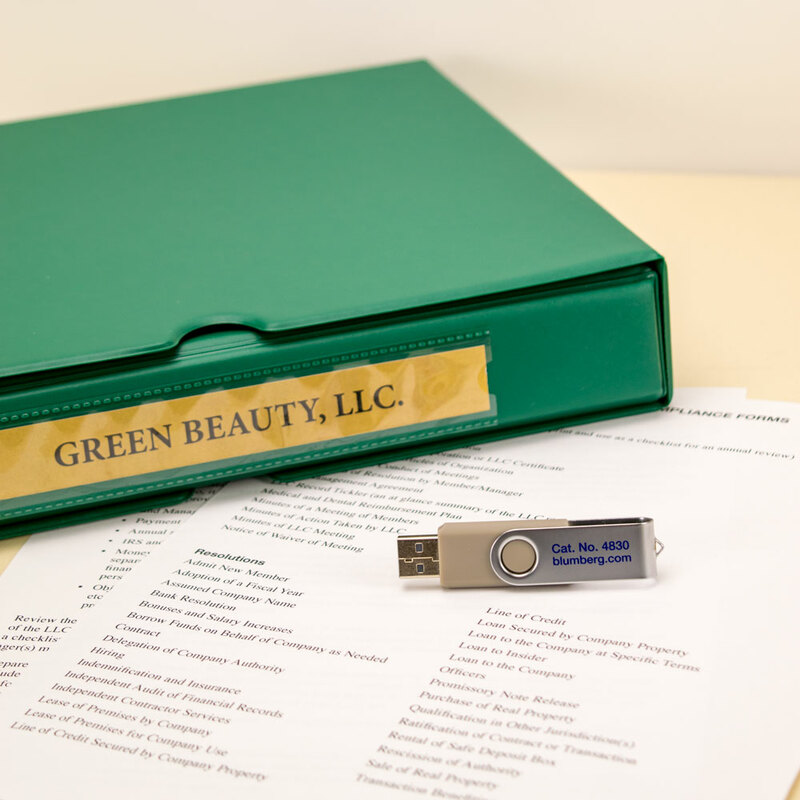 Prepare Statements, Certificates or Minutes of Meetings to objectify the significant actions taken by the LLC in the prior year. The protocol includes a questionnaire/checklist in fillable pdf format for an annual record book maintenance, 29 model resolutions and 12 forms including By-Laws to Conduct Meetings and Member(s)-Manager(s) Agreement. Quickly copy and paste the appropriate resolutions together to create an annual record of actions taken by the LLC and meetings held by the LLC. Cat. No. 4830, $29.95, or $19.95 when purchased with a Blumberg LLC kit or LLC formation. Do you have these things for your LLC? After you organize your LLC . . .
Often, organizers of a limited liability company (LLC) do not take full advantage of the opportunities available to the entity. After completion of formation formalities, they don’t record the decisions made to manage the LLC during its life. An LLC is a business tool that can provide asset protection, tax benefits, reduced personal liability and a better way for its principals to invest in the business. To obtain these advantages, you must observe the LLC formalities. They are fewer than for corporations, but they must be attended to. Failure to do so can result in the “piercing of the LLC veil,” a legal phrase that means that the owners become responsible for the debts and actions of the LLC. Start by reading your Operating Agreement. It sets forth the responsibilities of the members and managers. Also, it would be wise to sign a written contract with the Manager (if you have a Manager). A simple form is provided in this set of forms. Objectify records. Approve contracts, borrowing, and lending, acquisitions, reappointment of officers, etc., in annual resolutions. Formal meetings are unnecessary but records must be kept regarding approvals by members and managers. Review the LLC Audit Questionnaire for a checklist of matters to be objectified. 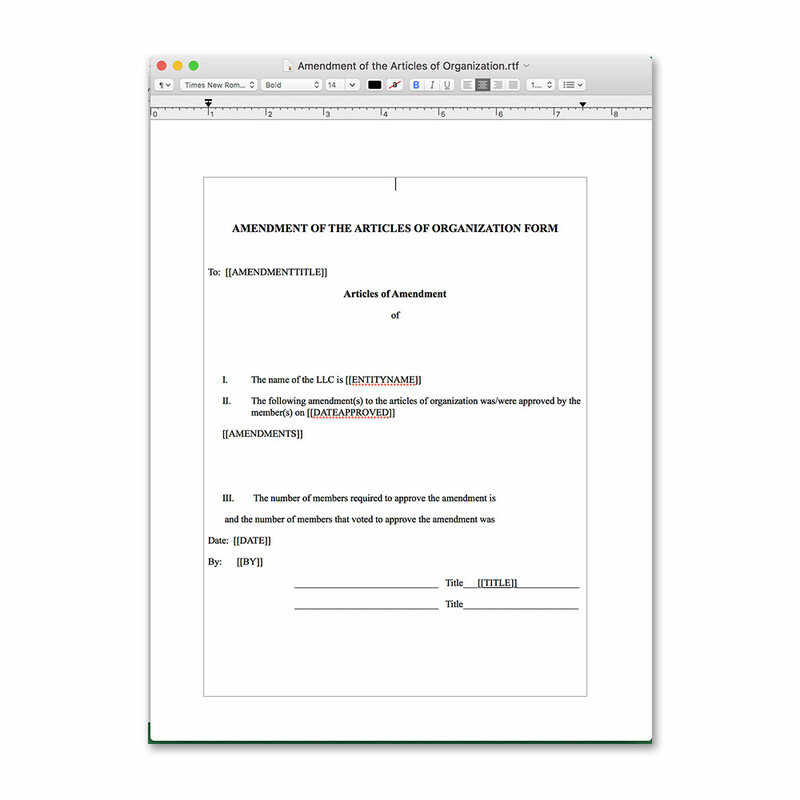 Each year, on the anniversary of the LLC organization, complete the fillable pdf or print it and complete by hand if that works better. Use it as a checklist when you prepare the annual Certification of Company Resolution(s) or hold LLC Member(s)-Manager(s) meetings. 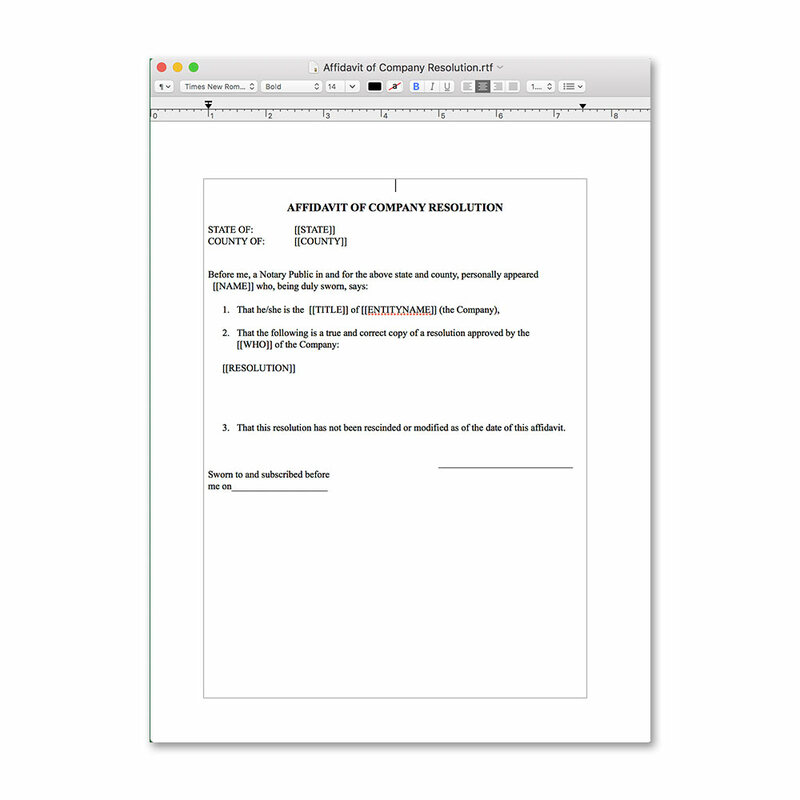 Prepare the Certification of Company Resolution(s) by cutting and pasting the appropriate forms of resolutions included with this collection of forms into the Certification of Company Resolution(s). If you do not find a specific form for the action taken, copy, paste and revise the language in the closest resolution to it. Date and sign the Certification and place it in the “Minutes” section of your LLC kit. Alternatively, if you hold a meeting of members and/or managers, use the Minutes of LLC Meeting form and cut and paste the appropriate resolutions into it. If you are involved in a lawsuit and the plaintiff is claiming that the LLC is the “alter ego” and the personal pocketbook of its members, or you are subject to a tax audit, the annual Certification of Company Resolution(s) that objectify the LLC’s management, will be evidence that LLC lives by the rules of the Operating Agreement and the decisions approved in writing by its management.